Earn up to 312 reward points. 32 keys for miniature hands. More than just a toy, though small children will have lots of fun playing it right from the start. 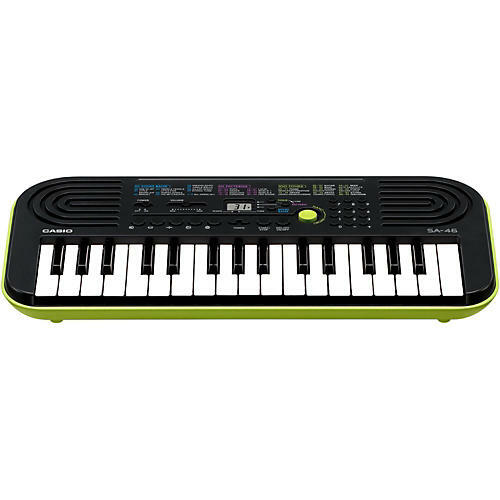 The SA-46 mini keyboard comes with a new sound source and 8-note polyphony. It includes 100 tones and 50 rhythms and features a simple change-over switch between the piano and organ sound. The SA-46 features a cool retro design. Great for a creative child's room, order today!